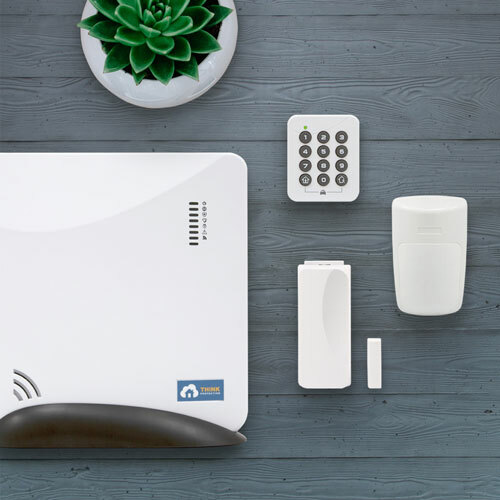 Save hundreds compared to traditional alarm companies all while getting exceptional customer support and innovative alarm services. Our founder Joel Matlin is one of the most revered figures in the industry & was responsible for protecting over 500,000 families throughout North America. With our mobile app, system control is at your fingertips. Smartphone notifications inform you if the system was disarmed, sensors triggered or if batteries are low. Customer satisfaction always comes first. That’s why we offer a risk-free 30-day money back guarantee. If you don’t love your system, we’ll refund your money. Traditional alarm companies advertise with promises of free equipment valued at $1000 or alarms starting from only $99. Once you’re lured in, they trap you with a 3-year contract which over time can cost you thousands of dollars. At Think Protection we have no hidden costs or long-term contracts. We pride ourselves on providing incredible security at the lowest price. We believe in passing savings to our customers, which is why professional monitoring starts at just $18.99/month. This furthers our commitment to always provide the best customer service in the industry. 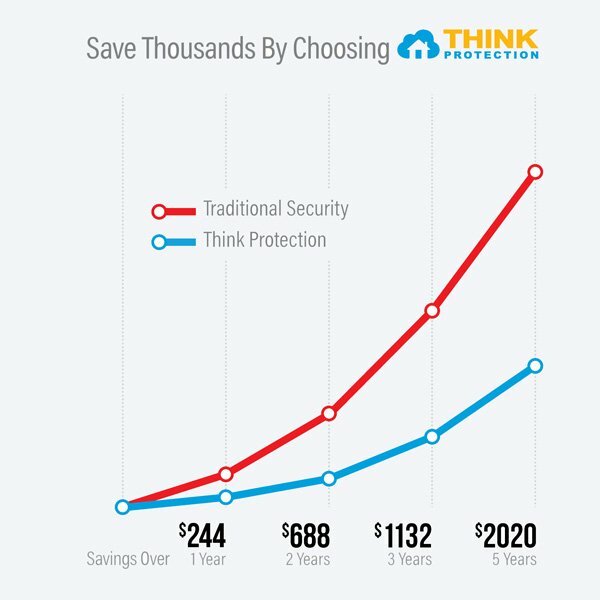 At Think Protection, we believe everyone should be able to protect their home and family at the lowest price. We’re working around the clock to further improve our products and will always provide you with the best value & exceptional customer service.